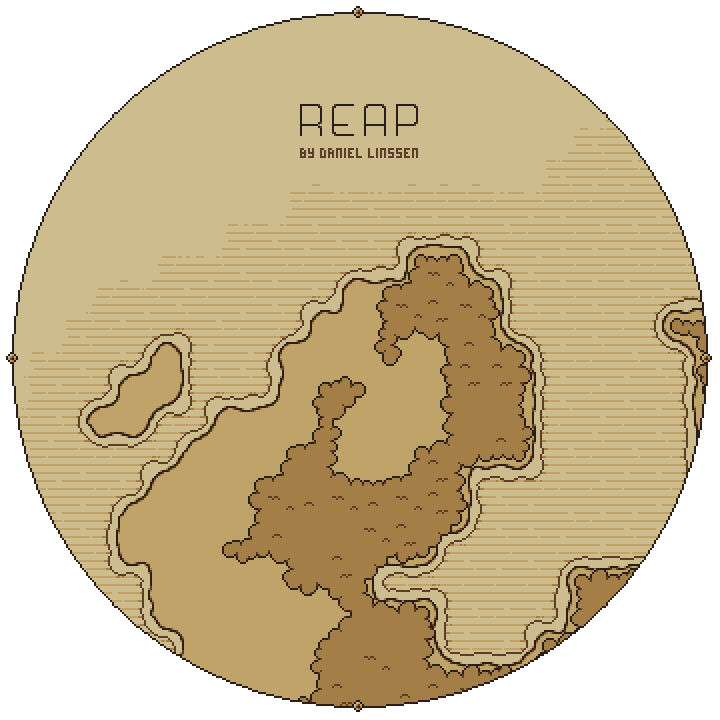 I finally finished making a local two player version of Reap, which I'm calling Reap Together! you need either two controllers, or one controller and a keyboard. I couldn't squeeze the tooltips into the game, so it might be worth mucking around in the single player version if you're unfamiliar with the game, or having the instructions readily available while you're playing. if you're new to the game, remember that you pick up and drop things by tapping the button, and you use things by holding down the button. 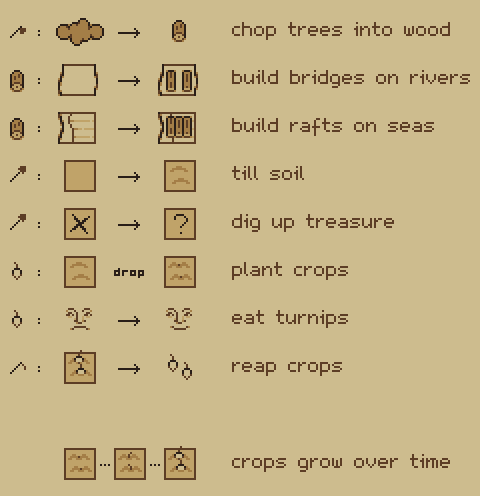 whether you work cooperatively (build a farm together, explore together, etc) or competitively (steal each other's tools, ruin each other's farms, etc) is up to you, but know that the game was designed around cooperating. there's no save system, so once you close the game that's it, it's gone. sorry about that. also, when one player dies, they're dead forever. so be careful out there! have fun and good luck! and if anyone beats the game on reaper difficulty, please send me a video. I would love to see it! Hi, Very good game! I didn't player Reap Together yet, but I've played the first Reap. Many congrats!! One question though : Once I've found the treasure, what do I do? Is it over after? Okay I see, while I think it's a good think to keep the player in game after the end, I think it would be better to end here. Maybe, a screen with a narrative text telling how all this finally end, because we don't know what to do next, we wait for the next "objective". But in the case you really want the player to explore more, I think the best thing would be to give more and more treasure maps, almost indefinitely. Each time we find a treasure, there's another treasure map inside, to keep the challenge on. restart the game, or start in easy mode ,got similar problem too. I was thinking one player could use asdw and one could use up down left right. Super excited for Reap Together! Tried playing it with one controller and keyboard and the controller couldn't use any of the objects? They were holding the button down and nothing was happening.